Rugs bring everything together. The Nourison Aloha ALH05 Indoor / Outdoor Area Rug is available in a range of sizes and color choices so you can customize your favorite spaces. Soften your wooden floors indoors or your hard outdoor surfaces with this durable polypropylene piece. Designed in Turkey and engineered to withstand tough wear and tear. Just hose it down as needed. Since its founding the 1970s, Nourison Rugs has become the market's most diversified wholesale producer and importer of area rugs. Nourison's extensive, diversified product lines are internationally recognized for their combination of beauty, craftsmanship, and value in every price range and construction category. By maintaining a monumental backup inventory, Nourison is able to ship most orders within 48 hours. Nourison addressed the two key concerns of every retailer - selection and timely delivery - to become the leading multi-product resource in the floor covering industry. Bold, oversized floral pattern in choice of available colors. 100% polypropylene. Machine-made, flat-woven style. Choose from available sizes. Made in Turkey. Suitable for indoor and outdoor use. Easy to clean. You don't have to choose between durability and luxury with the Safavieh Dallas Shag Indoor Area Rug. This transitional lattice rug features a plush shag pile for softness underfoot, and it's machine made out of polypropylene yarns to hold up to wear and tear in high-traffic areas. As a stain-resistant fiber, polypropylene is even easy to keep clean. Safavieh is a leading manufacturer and importer of fine rugs. Established in 1914 in the capital of Persian weaving masters, the company today brings three generations of knowledge and experience to its award-winning collections. In the United States since 1978, Safavieh has been a pioneer in the creation of high-quality hand-made rugs, a trend that revolutionized the rug business in America. Its collections range from the finest antique and historical reproductions to the most fashion-forward contemporary and designer rugs. Your choice of available size. Choose from available colors. Made of polypropylene. Machine-made weave style. Suitable for high-traffic areas. 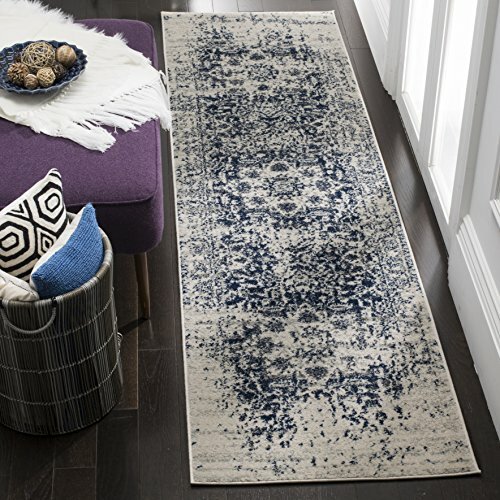 Add a sense of spring renewal to any room with the Safavieh Adirondack ADR108 Indoor Area Rug. 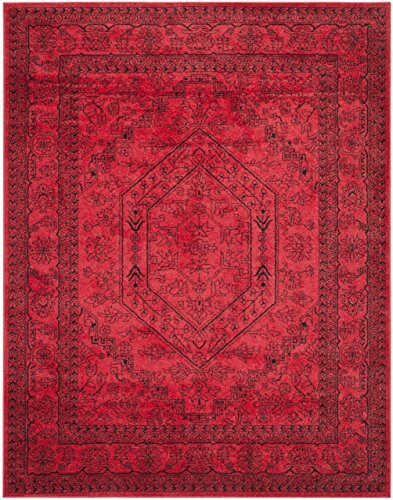 Made in Turkey, this traditional floral rug with power-loomed construction is built to stand the test of time. Safavieh is a leading manufacturer and importer of fine rugs. Established in 1914 in the capital of Persian weaving masters, the company today brings three generations of knowledge and experience to its award-winning collections. In the United States since 1978, Safavieh has been a pioneer in the creation of high-quality hand-made rugs, a trend that revolutionized the rug business in America. Its collections range from the finest antique and historical reproductions to the most fashion-forward contemporary and designer rugs. Choose from available sizes and shapes. Choose from available colors. Easy-care polypropylene material. Power-loomed construction. Pile height: .25 in.. Traditional style. No backing. 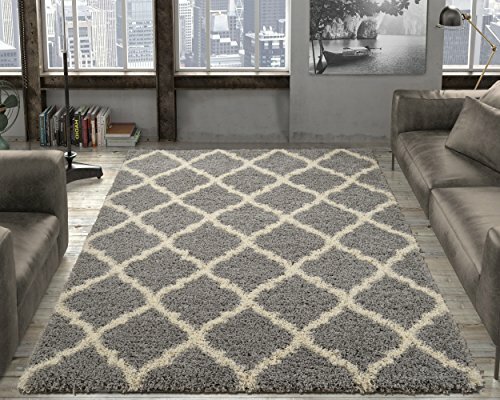 Add comfort and style to any space with the Cozy Shag Collection Shaggy Area Rug. 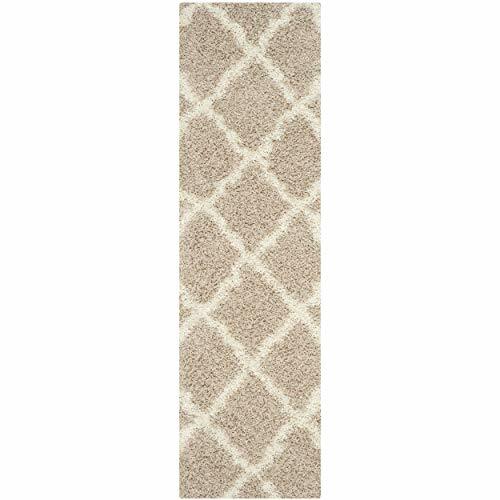 This rug features a simple, yet stylish solid pattern in a variety of colors that ensure a great match with a variety of decors. 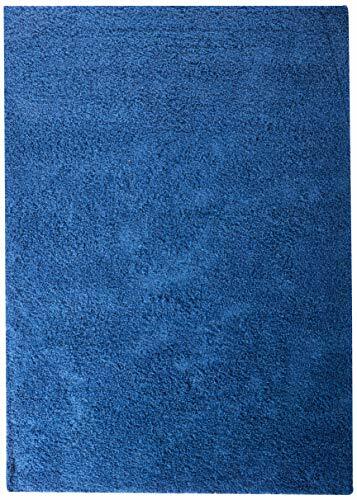 Pile height: More than 1 inchProduct features: Antimicrobial, stain resistantStyle: Contemporary, shagMaterial: Polypropylene, jutePattern: SolidWeave type: Machine-madeRugs by room: Living room, bedroom, dining roomRug type: IndoorFeature: Latex freeExact size: 3'3 x 4'7Rug size: 3' x 5'Shape: RectangleAvailable colors: Green, blue, brown, beige, zebra, red, orange, ivory, grey, charcoal grey Tip: We recommend the use of a non-skid pad to keep the rug in place on smooth surfaces.All rug sizes are approximate. Due to the difference of monitor colors, some rug colors may vary slightly. We try to represent all rug colors accurately. Please refer to the text above for a description of the colors shown in the photo.